ing bitcoin from exchanges can involve lots of hoop-jumping, as customers navigate complex and tedious registration and transaction processes. Some people are now cutting through the whole tangled mess, and having their employers pay them in bitcoin directly. Canadian firm Wagepoint has been helping companies do this north of the border. Wagepoint, a startup based in Waterloo and Nova Scotia, Canada, offers Canadian and US companies an easy way to process payroll online. 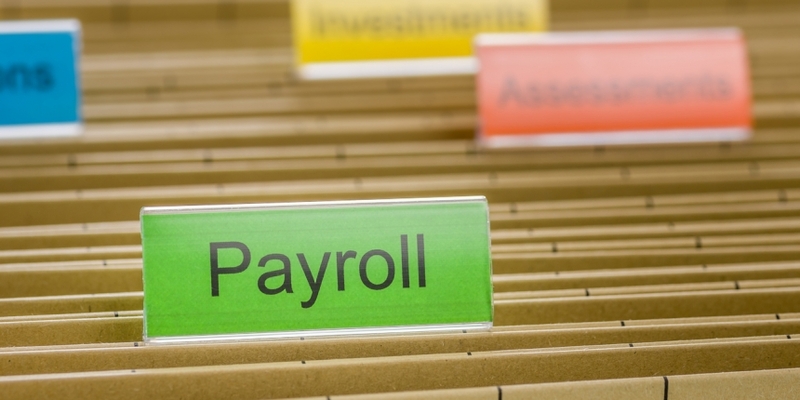 The firm handles payroll deductions for tax purposes and files all the necessary paperwork electronically. It has processed $120m in payroll payments using traditional fiat currency, but now, a growing percentage of customers are taking advantage of its bitcoin payment services, says CEO Shrad Rao. “We didn’t imagine we’d get any uptake,” said the CEO, and initially he was right. Nothing happened during November and December, but then, in January this year, he received his first bitcoin request from a customer, which paid out $2,000 worth of bitcoin in salaries. Since then, the firm has paid $75,000 in bitcoin on behalf of its customers. Wagepoint makes it as easy as possible for companies to make payments in cryptocurrency. Customers don’t have to handle bitcoin at all. Instead, Wagepoint takes its fiat currency and handles the convergence for them. In Canada, it uses CAVIRTEX for the exchange. In the US, its deal with Buttercoin now has $1.3m in funding from people including Reddit co-founder Alexis Ohanian. Buttercoin is still in stealth mode. Perhaps predictably, tech firms are at the front of the queue when it comes to paying their employees in bitcoin. Structur3D Printing, based in Kitchener, Ontario, produces a system for extruding paste that can be used in 3D printing. Co-founder and president Charles Mire is targeting everything from cake makers and chocolatiers through to hobbyist ‘makers’ with the product, which can handle everything from silicone to cake icing. Mire doesn’t take bitcoin payments from the company, but his co-founder and director of research and development Andrew Finkle gets 10% of his salary this way. There aren’t many financial benefits to a company paying employees in bitcoin, but there may be recruitment benefits, Mire said. After all, technology employees often have plenty of love for bitcoin, and good skills are hard to find, especially in Mire’s industry sector. “The more we use it, the more we realise that it’s a nice incentive to recruit people in the tech space,” he said. For example, the company hired a contractor last summer who handled business development for the firm’s Kickstarter campaign. He also had a mathematics and engineering background, which gave him the specialist skills for the job. Structur3D paid him in bitcoin, too. Around ten companies including Vancouver-based Bench, and Toronto-based RateHub are using the bitcoin payment option, said Wagepoint staff. 80% of the employees taking the bitcoin payment option collect 100% of their net pay in bitcoin. Employees who decide to take bitcoin payments will need to be diligent, though. Ryan Lazanis, of Montreal-based Xen Accounting, said that they will probably face capital gains issues. Xen Accounting specialises in virtual currency tax advice. It numbers Bylls among its clients. Employee payroll deductions happen in fiat, before the employees are paid their bitcoins, meaning that they will be paid their net salary in bitcoins, Lazanis explained. The problem is that the Canadian government doesn’t recognise bitcoin as currency. It is an asset, instead, and the little guidance issued by the Canadian Revenue Agency suggests that people account for it as a bartered good. The tax rules mean that employees will account for bitcoin salary payments as bartered exchange for their services, he explained. The sticky part is that employees must pay tax on any gains that they make with it, warned Lazanis. A bitcoin might be worth $500 when a company pays it to an employee, and $600 nine months later, when he or she comes to spend it. That difference is taxable, he suggested – and the most likely tax to be imposed would be capital gains. Bitcoin may therefore not be the best form of payment for an employees living from pay cheque to pay cheque and using them frequently for transactions. They would have to account for lots of losses and gains throughout a month. Bitcoin payments would be more workable for employees treating the payment in bitcoin as a longer-term investment.